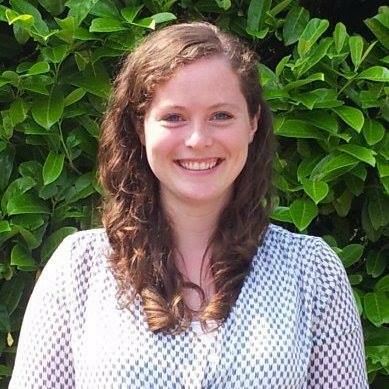 Mary Gallagher is based in Jordan and works on MSF’s A Fair Shot campaign, pushing to reduce the price of the pneumonia vaccine in developing countries. Anyone would be distraught in this young mother’s situation. Abdullah was four days old, underweight and clearly in pain. His mother asked Dr Anas what he thought of Abdullah’s condition – something she did whenever he passed. She had already asked him three times that morning. Dr Anas smiled as he answered, “You can see as well as I can that he is looking better all the time”. If this was better, I can’t imagine what Abdullah had looked like the day before. Jordan falls into this category, and the government has been outspoken on the need for fairer vaccine pricing and a more transparent market. With an average vaccination coverage rate of 99 percent, it is a country that is good at vaccinating its children. It does so regardless of the child’s status – refusing to differentiate between Jordanian children and the growing number of refugees that the country hosts (currently there are 656,170 officially registered refugees from Syria alone, and more when including non-registered refugees). But the pneumonia vaccine – known as the pneumococcal conjugate vaccine (PCV) – has thus far proved to be prohibitively expensive. The only two companies that make it, Pfizer and GlaxoSmithKline (GSK), have refused to offer the country a fair price. The most recent prices offered to Jordan were 43.05 JOD (US$60.90) per child for the vaccine made by Pfizer and 36.54 JOD (US$51.51) per child for the vaccine made by GSK (this is the cost of all three doses required to fully protect a child). These numbers add up; according to the Jordanian Ministry of Health, the total cost of purchasing the vaccine is estimated to be between 12.2 million and 14.4 million JOD. This is a staggering amount of money when you consider that, if introduced, the cost of the pneumonia vaccine alone would represent between 57 and 67 percent of the country’s entire current immunisation budget (and approximately 3 percent of the total health budget). The result of these high prices is that, when children get sick with pneumonia in countries like Jordan, they will continue to rely on antibiotics to get better (if indeed they have access to treatment). This is a solution that comes once a child is already very sick, and so it is unnecessarily cruel. It is also unsustainable: globally we are facing the threat of antibiotic resistance, and so the use of antibiotics in situations like this – where a protective tool already exists, but is unaffordable – is irresponsible. In November 2013, Médecins Sans Frontières (MSF) opened a mother and child hospital in the northern Jordanian governorate of Irbid. The hospital provides services for Syrian refugees and vulnerable Jordanians residing in the local community, which have become even more important due to increased pressure on Jordan’s health system. In the hospital’s maternity unit, skilled staff are on hand to manage complicated deliveries and carry out caesarean sections. The hospital also has a neonatal unit for premature babies. With Syrian refugees in Jordan facing increasing economic and social difficulties, a mental health support programme was opened in 2014 for Syrian children, which now includes outreach activities to reach out to Syrian refugee communities in the north of Jordan and surrounding governorates.